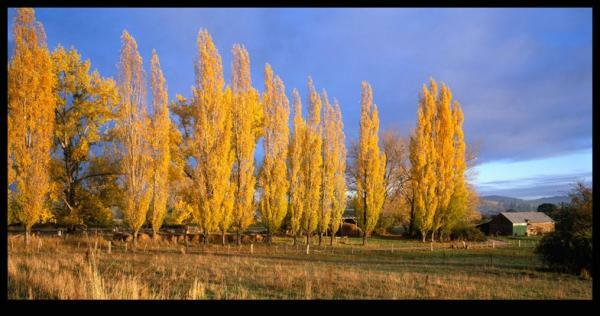 Vivid early morning colours of Autumn at Bowerbank near Deloraine. My carbon fibre tripod touched the hot wire of an electric fence whilst I was setting up to capture this image. Quite a jolt! This image was added to our catalog on Wednesday 11 August, 2010.